Style can make an Antiseptick to Decay. Showed a mermaid’s hand and the pizzle of a dragon. And my delight was planting trees in groups of five. Through the color of urine and timed the decay of tissue. My Religion of a Doctor made me famous. In them two pounds of skulls, jaws, thigh-bones, and teeth. To make dust of all things yet spared these minor Monuments. I completed my own circle, dying on my 77th birthday. 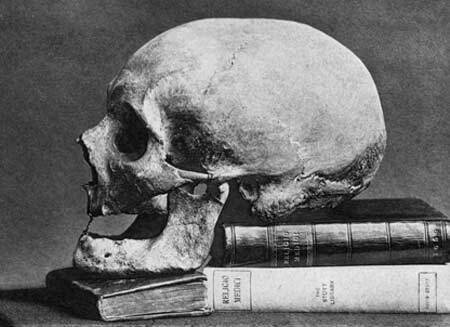 Came the age of skull-duggery and they dug me up. Deeded it to the Norwich Hospital Museum. The vicar recording the age of the deceased as 317 years. Or knoweth the Fate of his Bones?